With the Premier League’s top seat-fillers away on international duty for the next week or so, bwin.com’s Combi+ specials focus on the rather more humble fare on offer in the Johnstone’s Paint Trophy, and there’s one boosted bet in particular that looks sure to land. Bristol City, Bury, Crawley and Leyton Orient are all evens or less to win home matches against sides way below them in the 92-team league ladder, and the quartet were already reasonable value at just over 11/2 in a fourfold. However, the black and yellow boys in the bwin.com odds-compiling office have boosted this Combi+ home acca to a more meaty 7/1, and there’s every reason to believe it will land comfortably. League One leaders Bristol City currently sit a full 40 places above bottom-tier strugglers AFC Wimbledon, who have lost five and won only two of their 11 all-competition away games this term. 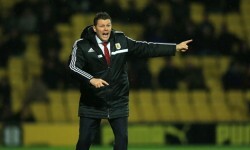 Steve Cotterill’s hosts are unbeaten since the end of March and have emerged victorious from five of their last six at Ashton Gate, so this result looks a done deal. Bury have won all nine of their Gigg Lane fixtures since being edged 1-0 by Cheltenham on the opening day of the League Two campaign. They should have little trouble seeing off a Tranmere side who have only won once on the road in eight matches this term, losing five of those fixtures. Crawley are the biggest-priced favourites of the four at evens, having only won one of their last six fixtures, but John Gregory’s men have triumphed in three of their past five on the homestead, only tasting defeat once at Broadfield Stadium since the start of September. They’ll have more than enough in their armoury to down a Gillingham side who haven’t won any of their last ten games. That leaves Leyton Orient to do the business against Northampton, and while the east Londoners are stuck in something of a rut in the third tier, their League Two visitors only snapped a four-game league losing streak last time out with a win against Wimbledon. Last season’s unlucky Championship miss-outs will fancy their chances of a morale-boosting victory at the Matchroom Stadium, while bringing our boosted 7/1 Combi+ banker up to boot.